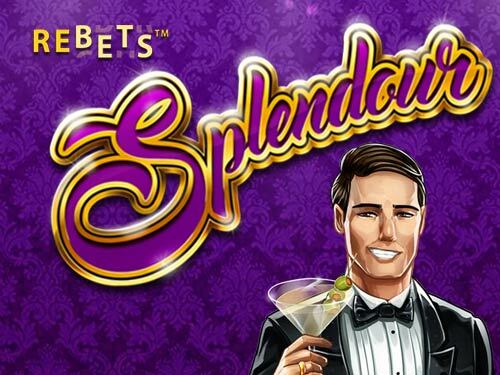 At its roots, Rebets Splendour is a slots casino game based purely on a debonair set of aristocrats whose self-worth runs solely on the fact they have a lot of cash. Nevertheless this online 5 reel gives you the chance to take it all away from them with a few spins of the paylines. Match up sports cars and private jets, and wipe the smug grin of the tanned tuxedo wearing puppet man who seems to haunt this online mobile slots. Join today! Eyecon is a slot games online development company founded in 1997, whose most successful game received millions of downloads. The company became interested in creating online casino games and in 1999,they began to build their own online casino system and gambling games. Temple Of Isis was their first ever slots game, created in 2003. Eyecon pride themselves on creating timeless games that keep bringing in players year after year. Their most successful game to date is Fluffy Favourites, which was released in 2006. We also often run various promotion slots with this game. 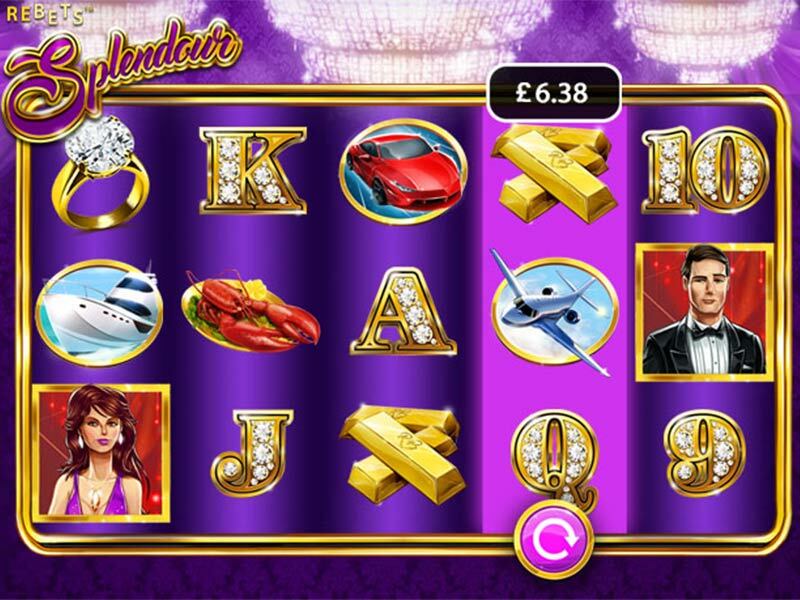 Rebets Splendor is a 5 reel, 3 row online video slots game by Eyecon. The theme of this game is luxury, and boy can't you tell. With a velvety background adorned with massive chandeliers, you’ll feel like you’ve just walked into a diva's dream. The game's design is seriously expensive, with even the lower value cards plated in gold and covered in gemstones. The lowest the player can bet is £0.25, but even betting that low, you won't feel like a cheapskate. The higher value symbols include gold bars, a diamond ring, a private jet and a luxury yacht. The most expensive symbol in the standard set is the red sports car, with a payout of 2, 30, 300 or 2,000 coins depending on the number of these symbols you land. The hosts of the party are a fancy couple straight out of a mystery novel. The woman is in a purple low cut dress, while the man opted for a more formal tuxedo. The woman is the Wild Symbol in this game can only appear on reels 1, 3 and 5. This symbol can replace any and all other symbols excluding the scatter symbol. Whenever the Wild symbol forms a part of a winning combination, the total payout is trebled. After each spin in the base game (not including autoplay), the player will be given the option to reset and respin an individual reel. The specific amount differs each time and is shown on that specific reel. If the player clicks the arrow that represents a reel, they will receive another chance to get a winning combination, along with a possible multiplier of up to x46. The game's Scatter symbol is a stacked wild, offering up to 400 free spins. If the player manages to land 3 or more of these symbols, they will not only receive 15, 20 or 25 free spins, they will also receive a payout of 5, 15 or 300 times their stake. The player can't use the respin in free spins, but they can trigger more free spins by landing 3 or more scatters again. The player can retrigger this event up to 15 times in a row, giving them up to 400 free spins. With an RTP (return to player) of between 92.3% and 95%, the game is a little harder to win from than a lot of others. However, the game's unique features definitely make up for it. I suggest this game for anyone who would like a challenge and to try new features. Read more about our popular online slot games.